Use good quality glass bottles, we strongly suggest not using plastic bottles. Use a natural cork when bottling, synthetic corks may cause problems. With storing, use a dark area, lay the bottle on its side and leave for 6/12 months. You can buy wine making kits to get the best out of your home wine brewing. The best way to transfer wine from your secondary fermenter is by siphoning. This removes any unwanted sediments and minimises the air entering your wine while bottling. You should fill your bottles up to approximately one cm below the bottom of the cork when the bottle is stood upright. All newly filled wine bottles should be stored in an upright position for around 2-3 days to allow surplus air to seep out. After this, wine bottles should be stored sideways to allow contact between the cork and wine. The moisture from the homemade wine will cause the cork to expand. This creates a secure vacuum which successfully seals your wine from the air! Wine storage at home needs thought, too. Homemade wine needs to be stored in a place with the right temperature and humidity, free from light and vibration, to allow it to mature properly. Please see our ‘How to Store Wine At Home Guide’ for more detailed information. Also check out our range of wine cabinets, if you don’t have an appropriate cellar! Wineware has a great array of equipment to help with your wine storage. From thermometers, to dehumidifiers, neck tags and wine bags … all the equipment you are going to need to make the most out of your homemade wine collection. 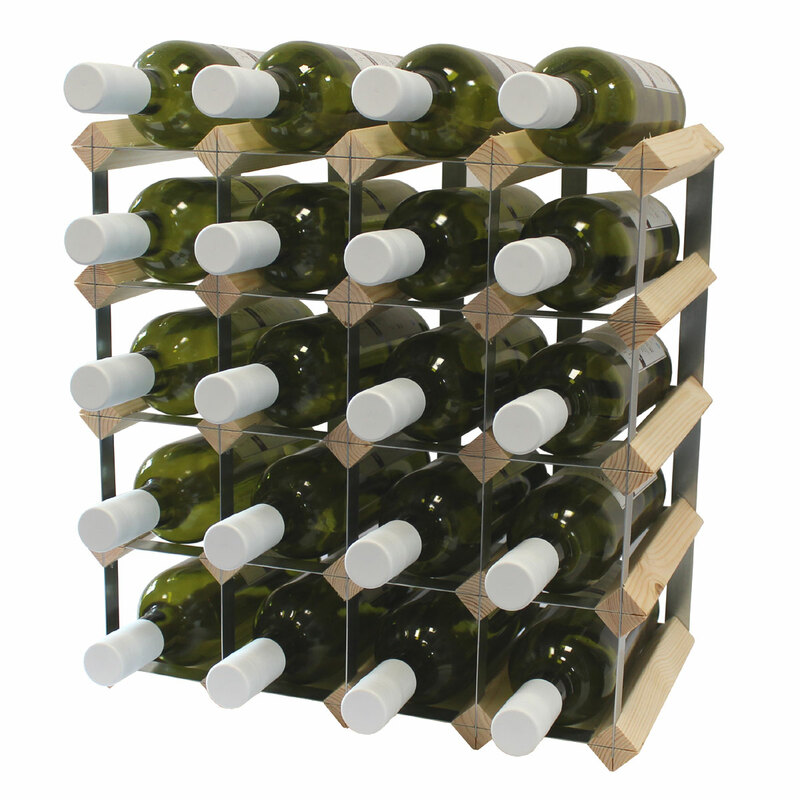 Don’t forget to take a look at our great range of wine racks, too. How long do I leave homemade wine for? Wine needs to mature slowly, and for different spans of time for reds and whites. Keeping a full cellar of homemade wine can be a complicated business, so why not take a look at our range of cellar books, which will help keep your collection in order? After all the effort you’ve put into your home wine making, you want to make sure you’ll get the best drinking experience. Decanting wine is a great ritual and heightens the experience, but is also essential for exposing wine to as much air as possible before serving – a crucial part of wine appreciation. At Wineware, we have all the equipment you’ll need to appreciate your wine properly. Looking after your homemade wine collection is nearly as much fun as making it, so to make the experience of caring for you collection even better, we’ve a brilliant selection of accessories. If you need wine bottle neck tags, to keep track of your collection then we’ve a great selection. If you are taking your precious wine to friends, then check out our range of wine bags. Opening your wine won’t be a problem either, with one of our easy to use corkscrews. If you plan on a night in with friends and your latest bottles, then we have the complete range of glassware you need to fully enjoy the flavours of your wine, including specially designed tasting equipment used by the professionals. If you require any other advice or information regarding topics in this guide, or any products on our website then please contact us.